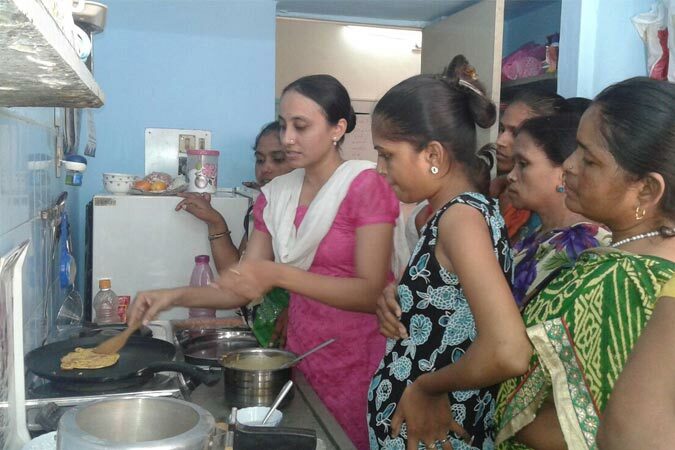 Saath’s Urmila Home Manager programme was devised with an objective to remove the stigma of housemaid to the marginalized women working as domestic help in Ahmedabad and give them a professional identity. One of the prime employment opportunities for poor women in the informal sector is that of daily chores in Indian households. However, the nature of employment is such that these women aren’t accorded proper respect at work and even underpaid. The reasons for this melancholy for whom we call “maids” range from: having no bargaining power, no information about their rights as workers to no legal access, excess work in comparison to remuneration etc. To add to their misery, there is no platform through which such women can collaborate and demand their rights and respect as workers. Saath provides a structured training pertaining to home management in various domains like: cooking, cleaning, baby-sitting and geriatric care. The project attempts to bridge the gap between domestic workers and urban households. 800+ women trained as Home Managers and placed with clients. Urmila Home Manager not only focuses on providing the work to women but also increasing their morale to move ahead in their life. Women are trained on various topics like housekeeping, home care, operation of household appliances, and safety steps during emergency, etc. 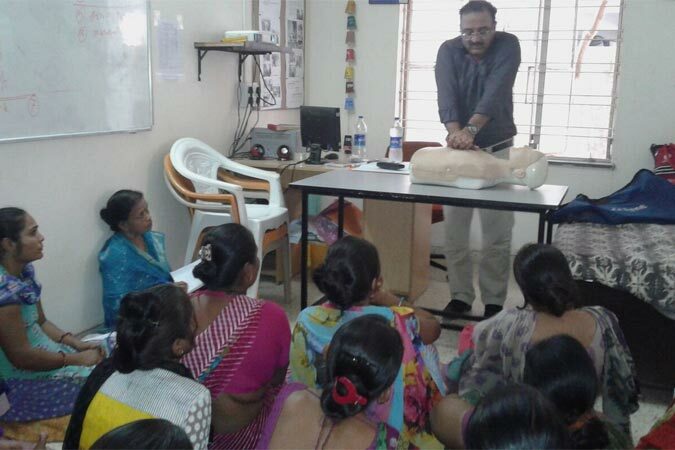 After 15 days of training, these home managers are placed at various places in Ahmedabad. The biggest advantage is that they getto work at one house; and hence their time is saved and they earn good income. The live example of Urmila Home Manager is Shardaben Khatik who worked as a daily wager earlier, is now working at one house only, and earning regular and enough income. After getting great feedback from the client where she is currently working, she got the Home Manager utility kit worth Rs. 2,000 from Saath. For this purpose we kindly request you to join a hand with us and become a witness of the happiness of 100 other Shardaben. Let’s think of these women and take them to the level they deserve. To work for the rights of domestic workers and formalize their current informal working system.